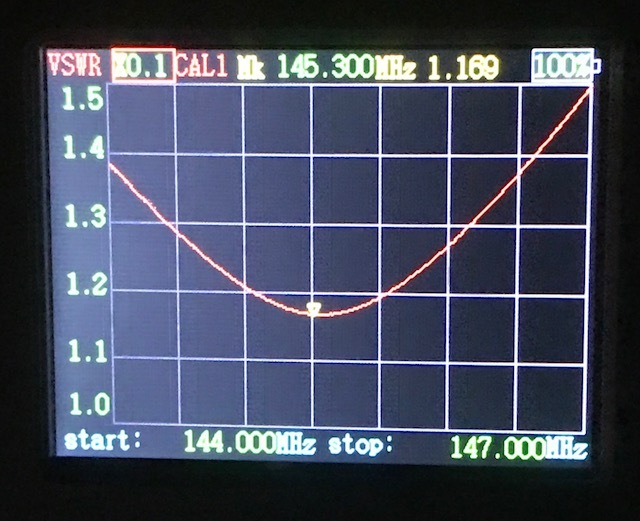 Back in 2012 I wrote about some new test gear that I’d bought for the shack. Well time doesn’t stand still and it’s always nice to have new toys in the shack, especially if they’re useful. 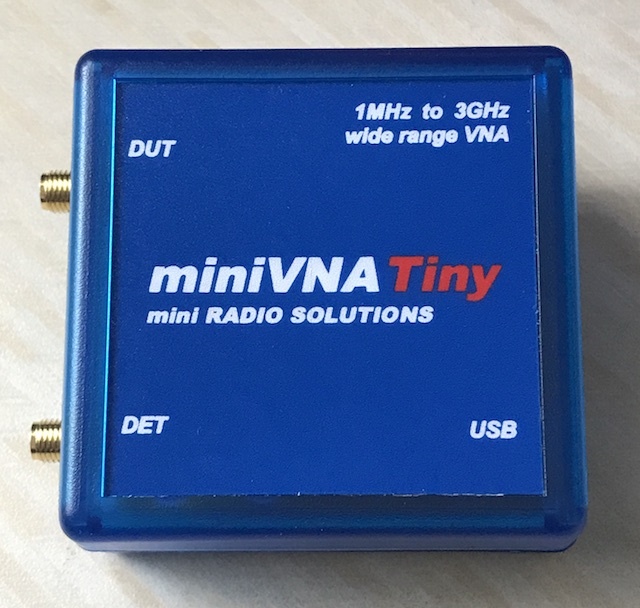 My miniVNA Pro always did me well but recently I’ve started doing things on higher frequencies, such as building aerials for ADS-B reception and it’s frustrated me that I’ve not been able to fully test them. 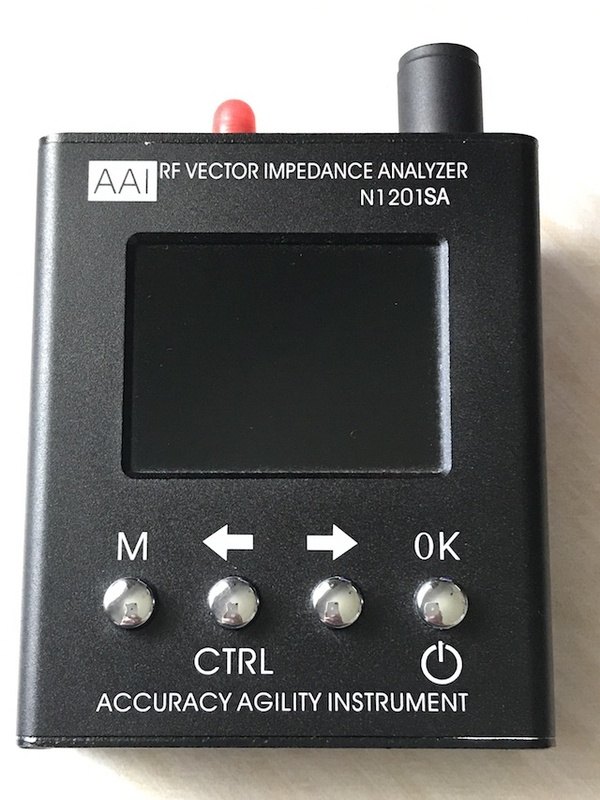 With that in mind, earlier this year I bought myself an AAI RF Vector Impedance Analyser N1201SA from Banggood. This is a cracking little piece of kit which covers from 137 MHz up to 2.7 GHz in 1 kHz steps. It can measure SWR, resistance, reactance and S11. It’s not stupidly expensive either at around £130. Being battery operated and fairly simple to use, it’s a very good piece of equipment. The only downside to it is that there’s no way to save the measurements it displays apart from taking a photograph of the screen. There’s no denying that it looks good though, here’s a plot of my Diamond X510 from earlier today. It’s also not a full blown VNA so it can’t be used for such things as measuring the performance of filters. Despite these downsides, if there was an HF version of this analyser, I’d be all over it. The next logical step for me was an upgrade to my old miniVNA Pro. It’s a fantastic piece of kit that’s served me very well over the years but I wanted something to cover higher frequencies. I looked into a number of items and decided that the best thing for me was to change to the newer miniVNA Tiny. Despite the name sounding as though it’s a downgrade (Pro to Tiny), it’s actually a decent upgrade as it covers from 1 MHz up to 3 GHz which is far higher than I can ever think I’ll need. It looks quite similar to my old VNA, it’s just a little smaller and has a different connector. 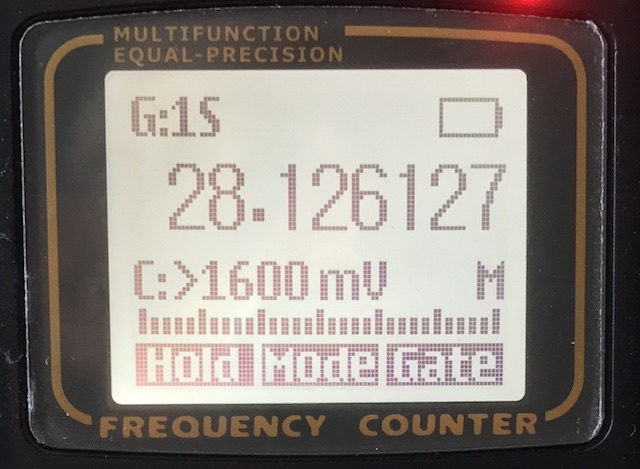 One of the first things I did with this was to test my new Diamond X510N vertical which I put up a couple of weeks ago and here are the results on 2m and 70cms. It’s encouraging to see that the 2m measurement matches up with the N1201SA image above. Both these images are clickable for much larger versions. Finally I’ve been able to get my hands on something I’ve wanted for quite a long time and it serves multiple purposes. 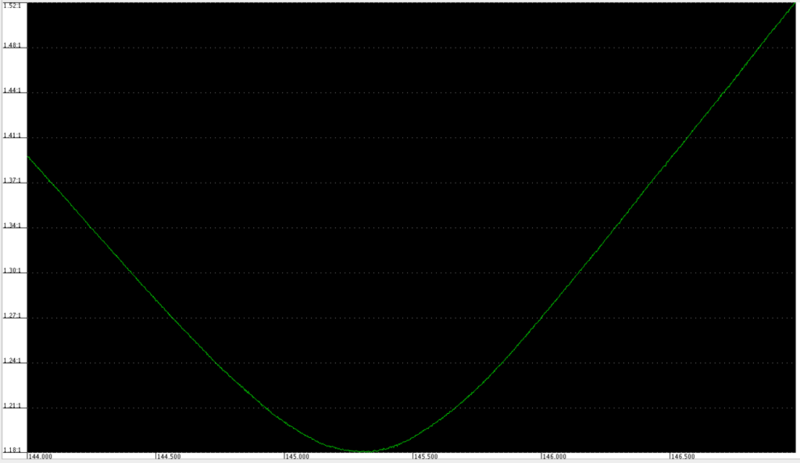 I’ve wanted an accurate power meter for measuring the output of my WSPR/QRSS transmitters. It’s all very well having a super-duper QRO meter but when trying to measure down to a couple of hundred milliwatts, that’s not exactly suitable. I bought myself a Yaege FC1-Plus Portable Frequency Counter which covers a massive 10 Hz to 2.6 GHz from 409shop. Not only is this a frequency counter (which is useful by itself) but it’s also a power meter which is good up to two or three watts. I wouldn’t want to put any more power into it. If you’re looking to buy one of these, be aware that there are two models. The FC1 and the FC1-Plus. If you want the power meter version then you must buy the FC1-Plus. It’s a little more expensive at around £50 but if you want it as a power meter then it’s worth it. Here’s the display in frequency counter mode, monitoring my WSPR transmitter. 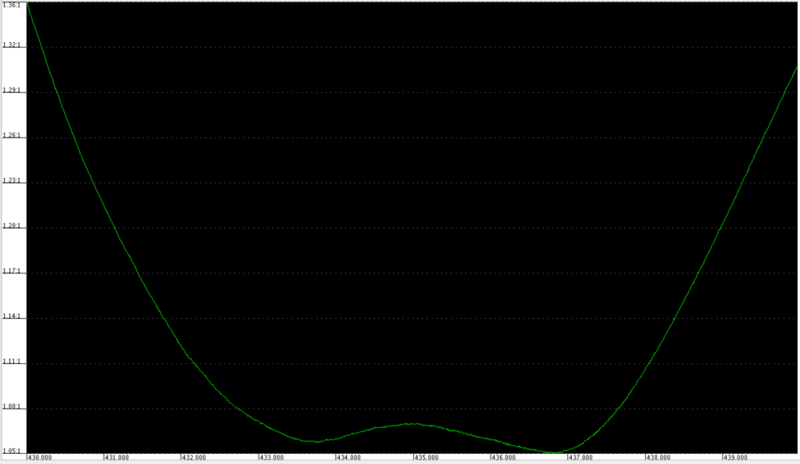 This ties up within a few Hz of the frequency I’ve got my GPS based transmitter so I’m happy with the accuracy. What I was really interested though was power. I fired up my WSPR transmitter into the meter in power mode. This reads fractionally higher than I was expecting although I am running a higher voltage to the output stage of the U3S transmitter. I have no reason to disbelieve the accuracy as I’ve been assured from a couple of sources that these meters are pretty much spot on. Even if it’s only within 10%, I’m still happy but it does mean that I’m probably running a little more power on the lower bands than I thought. 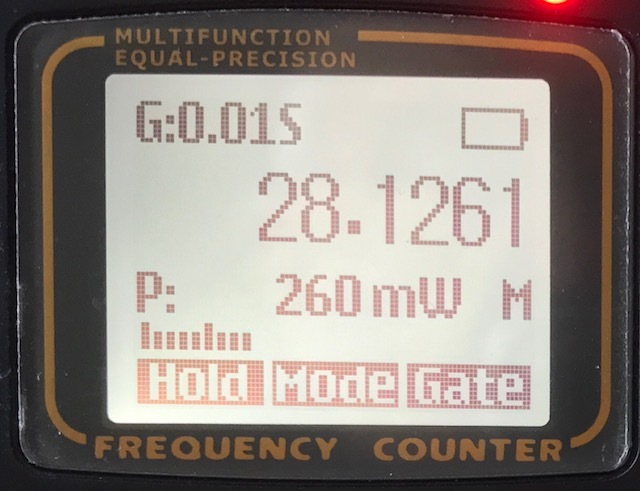 I think that good test equipment in the shack really is essential now – Long gone are the days when we only used an SWR meter to check and align aerials and although a lot of amateurs only use commercial products, it’s still useful to be able to test performance to make sure everything is working properly. I play around with low power experimental transmitters so this sort of kit is essential really. This entry was posted in Amateur radio and tagged FC1-Plus, miniVNA Tiny, N1201SA, Shack, Test gear. Bookmark the permalink.